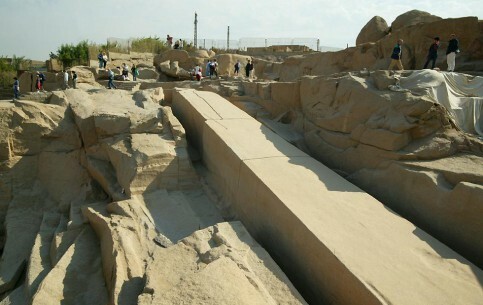 The largest known Egyptian obelisk is called the “unfinished obelisk”, which today can be found exactly where it was once semi-carved from the solid bedrock. This stone block was intended to be a 120ft / 36m tall obelisk. It is estimated that a block of granite this size would easily weigh more than a 1000 tons, some geologists have suggested a figure in the region of 1100 tons – 1150 tons. 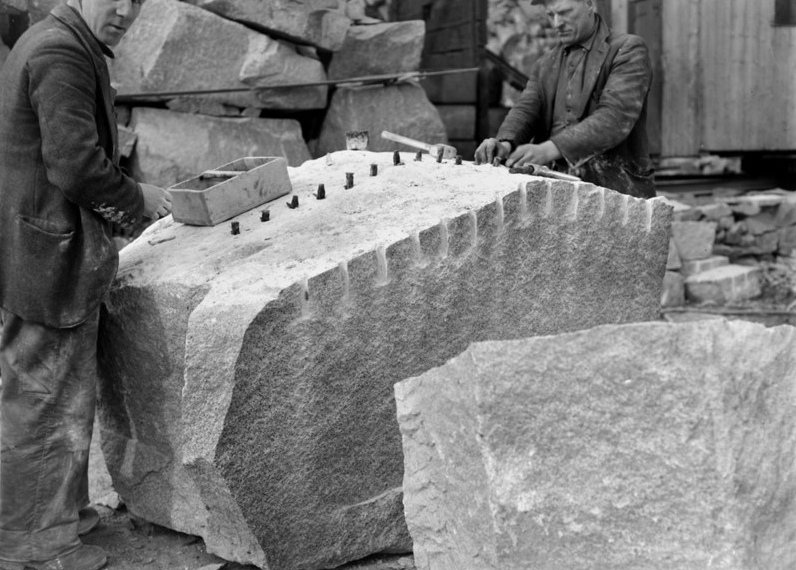 It is dumbfounding to think that the main tools used to shape this excessively huge granite block were not chisels as most people would assume. The early Egyptian stone masons used small hand sized balls of the mineral Dolerite to pound against the surfaces of the roughly hewn obelisks, until all the superfluous knobs and excrescences were flattened. 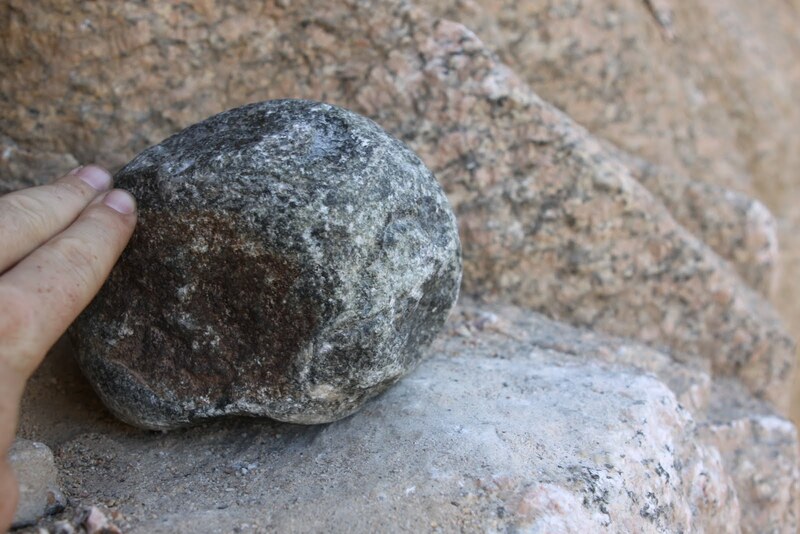 Dolerite is one of the few substances on Planet Earth that is harder than granite, most other rocks would simply crumble if they were repeatedly banged against granite. It has always puzzled me why the Egyptians chose to carve building blocks & statues from Granite when there were much softer and easier stones to work with? …and if you are thinking that it might be because the granite was locally sourced, stop! 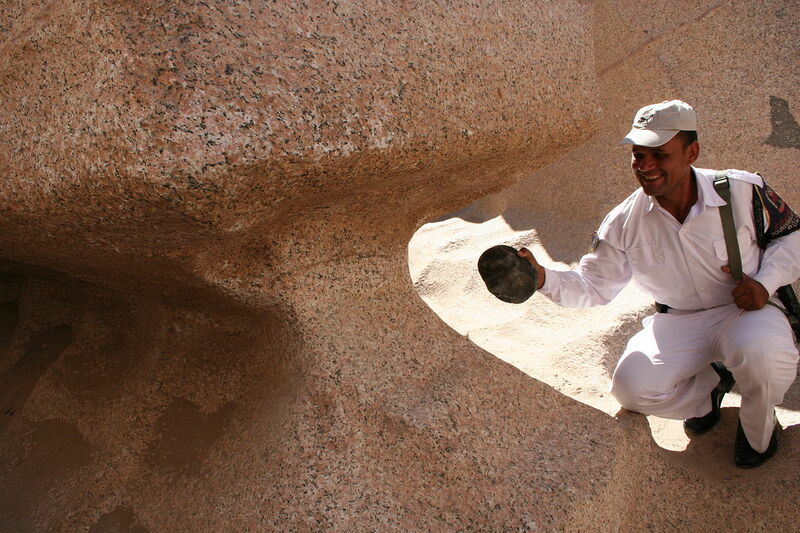 …the granite blocks used in & on the great pyramid of Giza were transported approx. 500 miles from quarry to building site, Aswan to Cairo, so this would suggest that distance wasn’t a factor and that the stonemasons chose to work with granite, possibly for its durability or maybe simply because of its colour?. When planning the creation of an obelisk the quarry men would look for a suitable length of bedrock that had no visible flaws or cracks. Then they would make a series of small holes with probably copper tools in a line at regular intervals, similar to a row of hyphens (- – – – – -). Next they would hammer sun dried wooden wedges into these holes. These wooden wedges were then repeatedly soaked with water and would gradually expand over time, and yes, believe it or not, the power generated by wet wood expanding is strong enough to break a granite block free from a granite bedrock, a process which I find absolutely amazing. How did our early ancestors discover such a method? 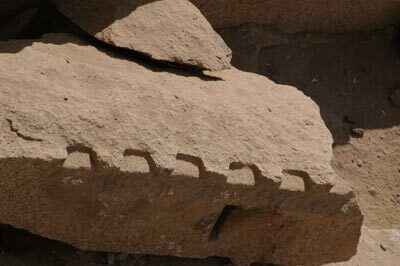 It is interesting to note that the same technique for separating a block of stone from its mother bedrock appears to have been used by many cultures across the ancient world. Nobody ever devised a better method or technique. Even today modern day quarries use a very similar method involving making a line of holes in the rock, and instead of ramming wet wooden wedges into the holes which takes quite a long time to achieve the desired effect of splitting the rock face, modern quarrymen simply hammer metal wedges into the holes which achieves the same result, except much quicker. 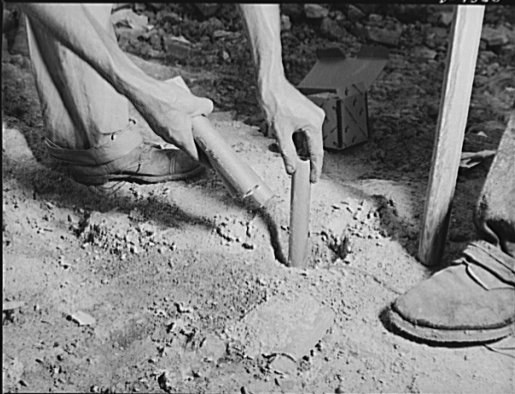 In larger quarries whole rock faces are loosened by putting sticks of dynamite into a sequence of drilled holes, which are then detonated by a remote controlled device. When the block of rock was finally freed from the bedrock and seen to be in one sturdy piece, the surfaces of the obelisks were leveled by repeatedly pounding them with hand sized Dolerite stones as described above. Finally the scribes and hieroglyphic artists would decorate all four faces with the religious beliefs and monarchial achievements of the day. There is no denying that Egypt was one of the most powerful empires ever to exist in human history and its monumental architectural achievements are testimony to the that fact, but every old dog has its day and eventually has to give way to a younger stronger puppy, and the mighty civilization of ancient Egypt was not immune to the laws that govern the universe we live in, it too was eventually conquered by foreign visitors/armies. ..in various cities around the world, Istanbul, Rome, London, Paris & New York, you can find what at first sight appear to be replica Egyptian obelisks, but upon closer inspection you will see that these obelisk are not replicas, they are actually authentic Egyptian obelisks, re-erected many miles from their original installation points in Egypt. So far, only 28 giant Egyptian obelisks have ever been discovered, both erect & fallen. Of these 28 monolithic statements of ancient Egyptian achievement & ability, only 8 remain in Egypt. Karnak temple, Thebes – raised by Tuthmosis I (66-75ft / 143-160 tons). Karnak temple, Thebes – raised by Hatshepsut (fallen) (97ft / 320-323 tons). Karnak temple, Thebes – raised by Seti II (7m). Luxor temple, Luxor – raised by Ramses II (82ft / 254 tons). Heliopolis, Cairo – raised by Senusret I (20.75m / 120 tons). Gezira Island, Cairo – raised by Ramses II (20.4m high / 120 tons). Cairo International Airport – raised by Ramses II (16.97m high / 110 tons). The obelisks in the list below are erected at various landmark sites around the world, but all were originally created in Egypt and later stolen by, or diplomatically “given” to, the country where each now stands. 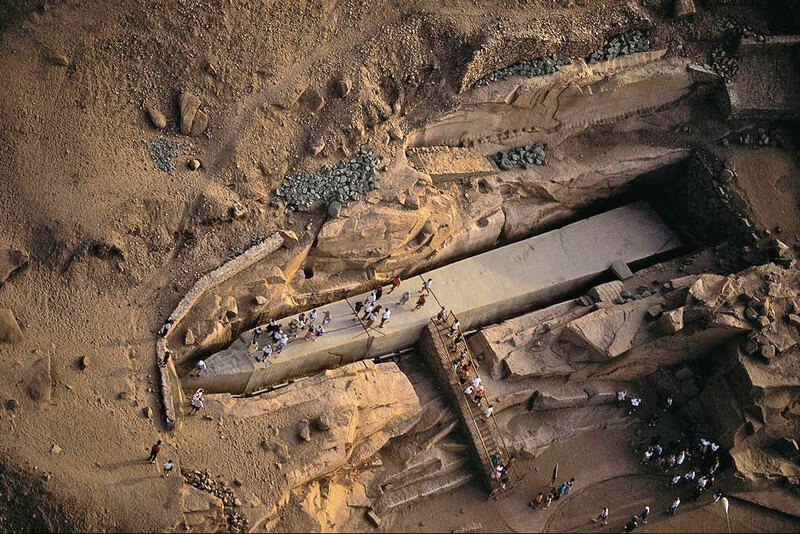 – The largest standing ancient Egyptian obelisk in the world, – weighing over 330 tons. – Originally from the temple of Amun, Karnak. – Brought to Alexandria with the “Theodosius obelisk” by Constantius ll, and from there to Rome in 357AD to the Circus Maximus. – Found in three pieces in 1587AD and restored (approx 4 m shorter) by Pope Sixtus V, – Erected near the Lateran Palace and basilica of San Giovanni in 1588AD. – Originally raised in the Forum Lulium, Alexandria, under the orders of Augustus 30 – 28BC. – Contains no hieroglyphs, so the name of the commissioning pharaoh is not certain. – Brought to Rome by Caligula in 37AD for the spina of the Vatican Circus. 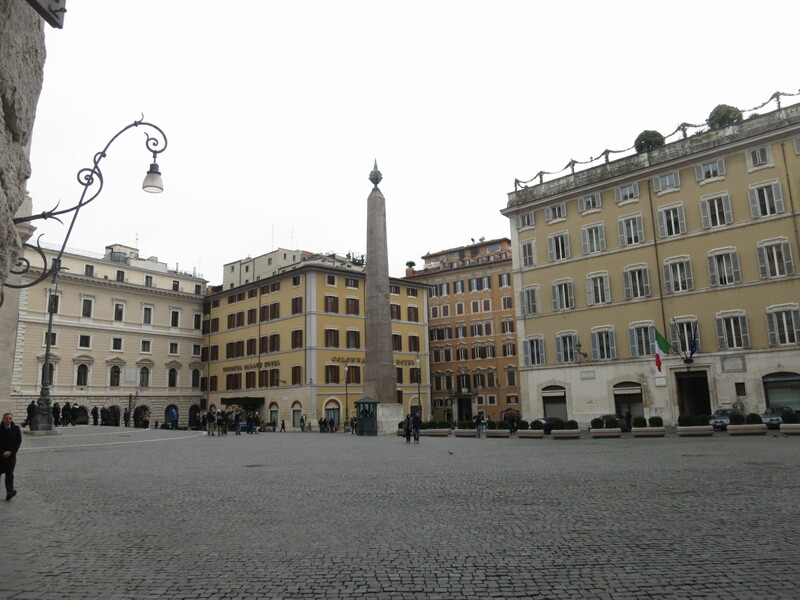 – Relocated by Pope Sixtus V in 1586 using a method devised by Domenico Fontana – The first monumental obelisk raised in the modern period, – It is the only obelisk in Rome that has not toppled since Roman times. – Brought to Rome from Heliopolis by Augustus in 10 BC with the Solare obelisk – Erected on the spina of the Circus Maximus. 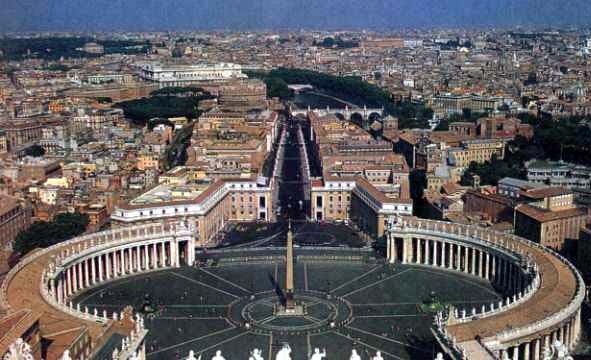 – Found with the Lateran obelisk in 1587AD in two pieces – Re-erected by Pope Sixtus in 1589AD. – Brought to Rome from Heliopolis by Augustus in 10 BC with the Flaminio obelisk – Erected to form the gnomon of a sundial on the Campus Martius. – Found again in 16th century but reburied. 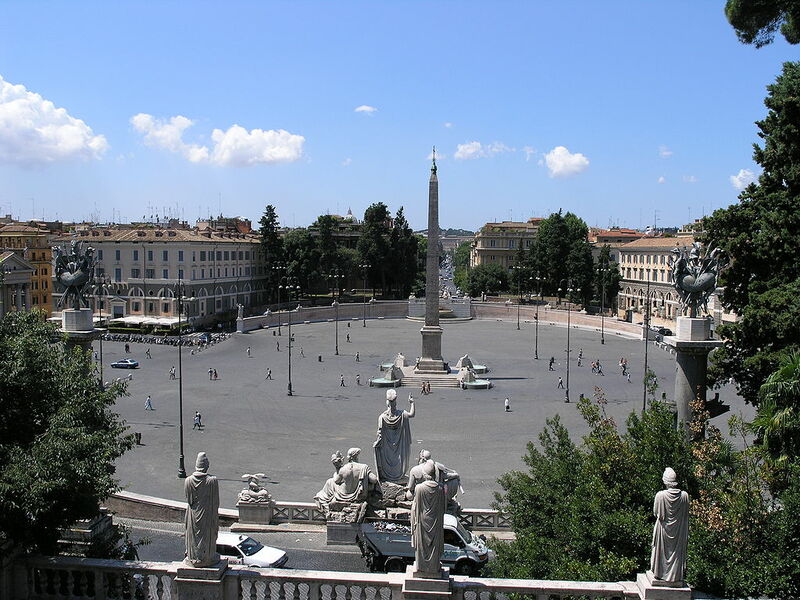 – Rediscovered and erected by Pope Pius VI in front of the Palazzo Montecitorio in 1792AD. – Carved from pink granite – Originally erected in Luxor at the south of the seventh pylon of the great temple of Karnak, – – Dating to the reign of Tutmosis lll in about 1490 BC. – The Roman emperor Constantius ll (337-361 AD) had it and another obelisk transported from Karnak to Alexandria to commemorate his 20th year on the throne in 357AD. – The other obelisk was erected on the spin of the Circus Maximus in Rome 357AD, and is today known as the Lateran Obelisk. – The Theodosius obelisk remained in Alexandria for 33 years until 390AD, when – Theodosius l (378-392 AD) had the obelisk cut into 3 pieces and sent to Constantinople and put up on the Spina of the Hippodrome. – ONLY The top section survives, and is still where Theodosius placed it. – Decorated with hieroglyphic exalting the reign of the pharaoh Ramosis ll. 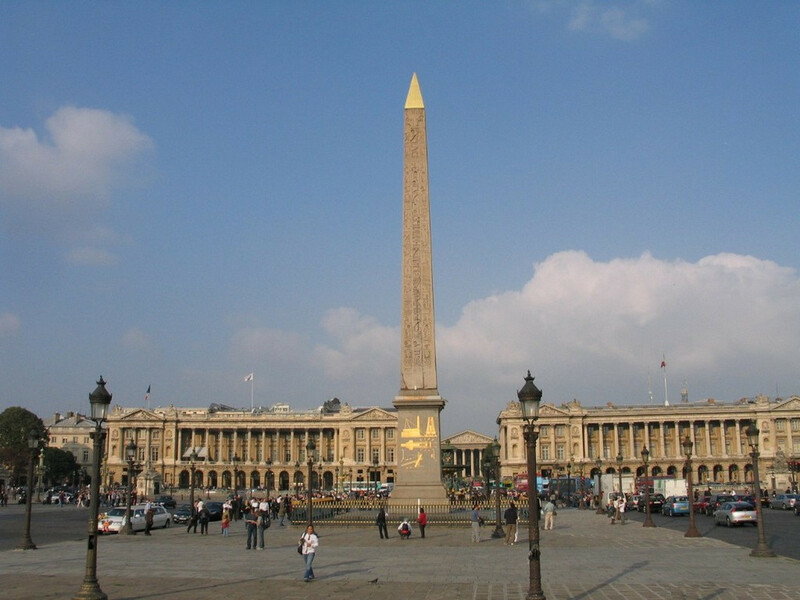 – Egyptian government gave two obelisks to the French in the 19th century. 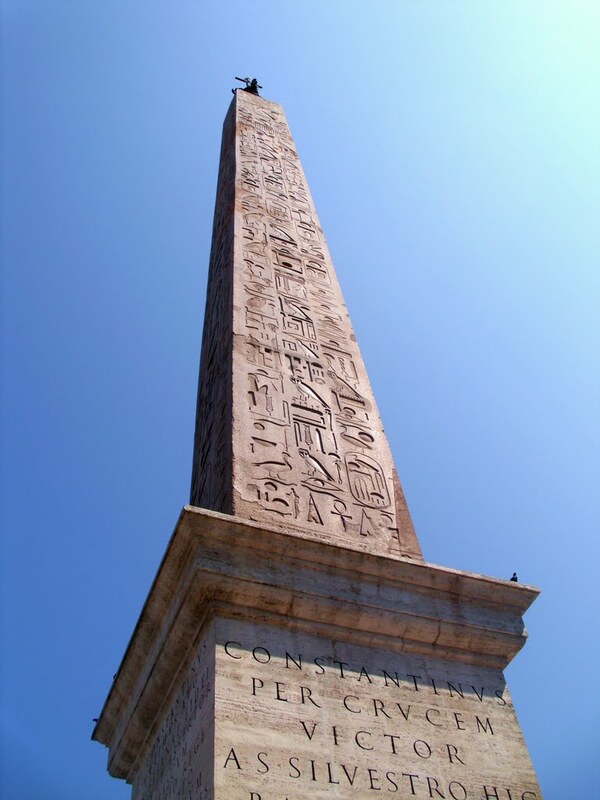 – The second obelisk stayed in Egypt, too heavy to move to France at that time. – In the 1990s, President Mitterrand symbolically gave the second obelisk back to Egypt. – The obelisk once marked the entrance to the Luxor Temple. 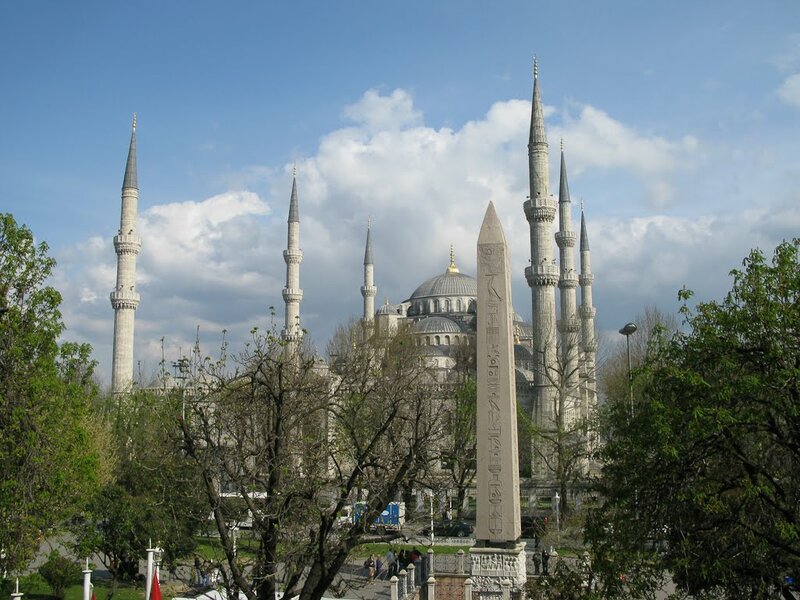 – The Ottoman viceroy of Egypt, Mehmet Ali, offered the 3,300-year-old Luxor Obelisk to France in 1829. – It arrived in Paris on 21 December 1833. – Three years later, on 25 October 1836, King Louis Phillippe had it placed in the center of Place de la Concorde, where a guillotine used to stand during the Revolution. – Carved from yellow granite, the obelisk stands 23 metres / 75 ft high, (including the base), and weighs over 250 tons. – Missing its original capstone (believed stolen in the 6th century BC) the government of France added a gold-leafed pyramid cap to the top of the obelisk in 1998. 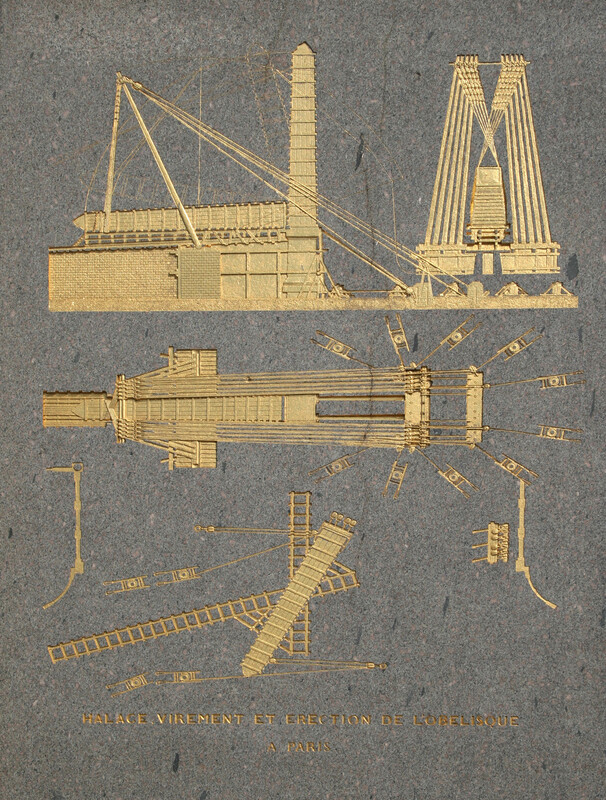 – The pedestal contains diagrams explaining the machinery used for the transportation. 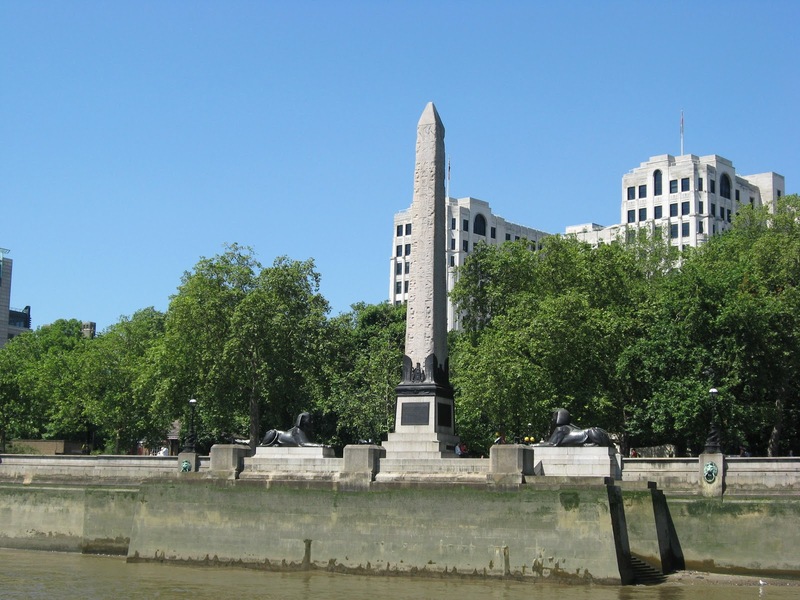 The obelisk seen today on the Victoria Embankment of the river Thames in London was presented to Britain by Muhammad Ali (Ruler of Egypt & Sudan) in 1819AD. It was a gift to commemorate the British victories at the Battle of the Nile and the Battle of Alexandria in 1801AD, but because the British government wouldn’t pay to transport the obelisk to London, it remained in Alexandria for nearly 60 years until 1877 when Sir William J E Wilson gave £10,000 to finally bring the obelisk to London. The obelisk was encased in a 92ft long airtight iron cylinder. Just like a boat it had a rudder, a mast & sails, and it was to be towed to London by Captain Booth behind his ship the Olga. However in October of that year, the Olga encountered a storm in the Bay of Biscay, the cylinder became uncontrollable and sadly 6 men lost their lives trying to secure it. Captain Booth managed to rescue the captain & five crew from aboard the cylinder. Booth reported the cylinder abandoned and sinking, but somehow the cylinder floated in the Bay for another four days without sinking and was found by a couple of Spanish trawlers. The Glaswegian steamer “Fitzmaurice” arrived at the scene and towed the limping cylinder to the Spanish coast to be repaired. A tug boat named the Anglia was then used to tow the cylinder on the final part of its disastrous journey to its delivery point on the River Thames in London, finally arriving on the 21st of January 1878, and erected on the Victoria Embankment eight months later on the 12th of September 1878. A time box containing the following objects was buried under the obelisk: – A set of 12 photographs of the best looking English women of the day, – A box of hairpins, – A box of cigars, – Several tobacco pipes, – A set of imperial weights, – A baby’s bottle, – Some children’s toys, – A shilling razor, – A hydraulic jack – Some samples of the cable used in erection, – A 3′ bronze model of the monument, – A complete set of British coins, – A rupee, – A portrait of Queen Victoria, – A written history of the strange tale of the transport of the monument, – Plans on vellum, – A translation of the inscriptions, – Copies of the bible in several languages, – A copy of John 3:16 in 215 languages, – A copy of Whitaker’s Almanack, – A Bradshaw Railway Guide, – A map of London – Copies of 10 daily newspapers. Given by – the Khedive of Egypt, Mehmet Ali Pasha 1877. – The New York City needle was erected in Central Park on February 22, 1881. – It was given to the Americans in May 1877 by the Khedive of Egypt, Mehmet Ali Pasha as a bribe/gift for the United States remaining neutral while France and Britain fought to control the Egyptian Government. 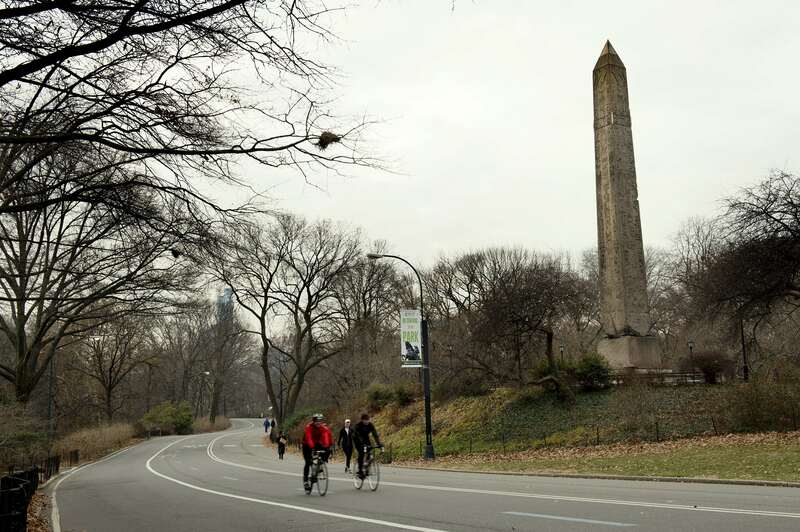 – The Commissioner of Public Parks of the City of New York, Henry G Stebbins, started a fund to raise the funds to pay for the transportation of the obelisk to New York. – William H Vandebilt generously offered a donation of over $100,000 to cover all costs. – In October 1879 the 220-ton granite needle was transported seven miles to Alexandria and then loaded onto a steamship named the Dessoug, which arrived at New York in July 1880. 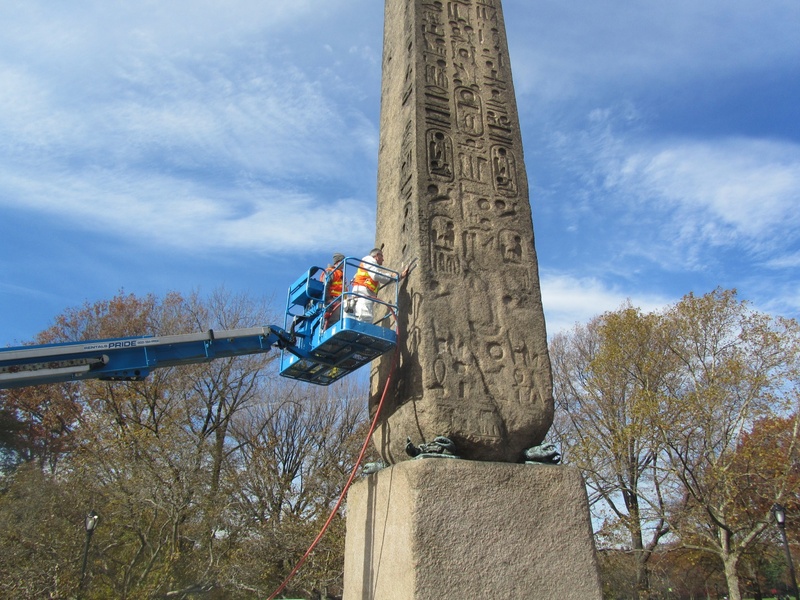 – It took 32 horses to bring the obelisk from the banks of the Hudson River to Central Park. – It took 112 days to move the obelisk from Quarantine Station to Central Park. – The cornerstone for the base of the obelisk was laid in place on the 2nd of October 1880, by the masonic Grand Master of the State of New York Br Jesse B. Anthony. 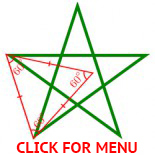 – Over 9,000 Freemasons were in attendance. – The official ceremony for erecting the obelisk was January 22, 1881. – The surface of the stone is heavily weathered, nearly masking the rows of Egyptian hieroglyphs engraved on all sides. – Photographs taken near the time the obelisk was erected in the park show that the inscriptions or hieroglyphs were still quite legible and date firstly from the time of Thutmosis lll (1479–1425 BC) and then again nearly 300 years later in the reign of Ramosis ll the Great (1279–1213 BC). – The stone had stood in the clear dry Egyptian desert air for nearly 3000 years and had undergone little weathering. – In just over a century the climate of New York City has heavily damaged its surfaces. I take my hat off to Dr Hawass and I wish him every success in the repatriation of the New York obelisk. One other way I have heard sculptors cut rock is to pour an inflammable liquid on the the wodden pegs which are in these pilot holes and then set fire to them. This heats the immediate region of the rock. After that water is poured on it. 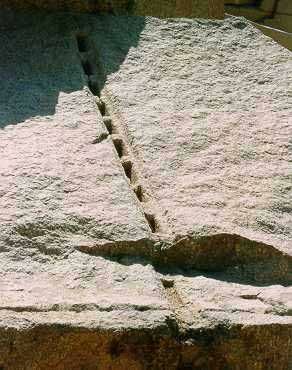 The sudden cooling cracks the rock along the pre-defined path. I would assume that the technique used would depend on the type of the rock or budget available to finish a project. It would seem the heat and cool method would make rougher cuts. The inflammable fluid would probably have natural chemicals or secret ingredients to make the process faster. The main stone or stones used for the main diety would be treated with various natural substances to enhance luster, or make it softer to carve since they absorb fluids. thanks for taking the time to comment on this post. I had heard about the heating and cooling technique but I have read in most places that the water expansion method was more commonly used. Inflammable means something can not burn. You mean flammable. The adjectives flammable and inflammable mean the same thing: easily set on fire and capable of burning quickly. The adjective nonflammable means not easily set on fire. Inflammable definition, when a person means flammable and wishes to sound more intelligent than that person truly is. “One other way I have heard sculptors cut rock is to pour an inflammable liquid on the the wodden pegs which are in these pilot holes and then set fire to them.”. So there is nothing wrong with Brian’s use of the English language apart from his spelling of the word wooden which he spelt as wodden. Brian is not trying to sound more intelligent than you or me. Brian is not saying that a NON FLAMMABLE liquid was poured on the wooden pegs, he is actually saying that a HIGHLY FLAMMABLE liquid was poured on the wooden pegs. Flammable means easily ignited and quickly burned. The prefix “in” denotes the negative connotation of the word, thus inflammable means something akin to exploding or catching fire in a bad way. A good piece of firewood is flammable. A tank full of gasoline on a boat is inflammable. “There is a clear reason for why both these words carry the same meaning: the prefix in- does not always function as a negative prefix. Sometimes (and this is one of those times) it serves as an intensifier. It’s fairly obvious how this could lead to problems. But in the 1920s the eagle-eyed language guardians of the National Fire Protection Association (NFPA) realized that many people were viewing the in- in inflammable as a negative prefix, and were at risk of consequently incinerating themselves at a much higher rate than was desirable. The NFPA advocated to have flammable used exclusively for warning labels (such as are found on mattresses, oil cans, and other things that will catch on fire if you put a match to them), and managed to slightly nudge our language toward a more sensible path.